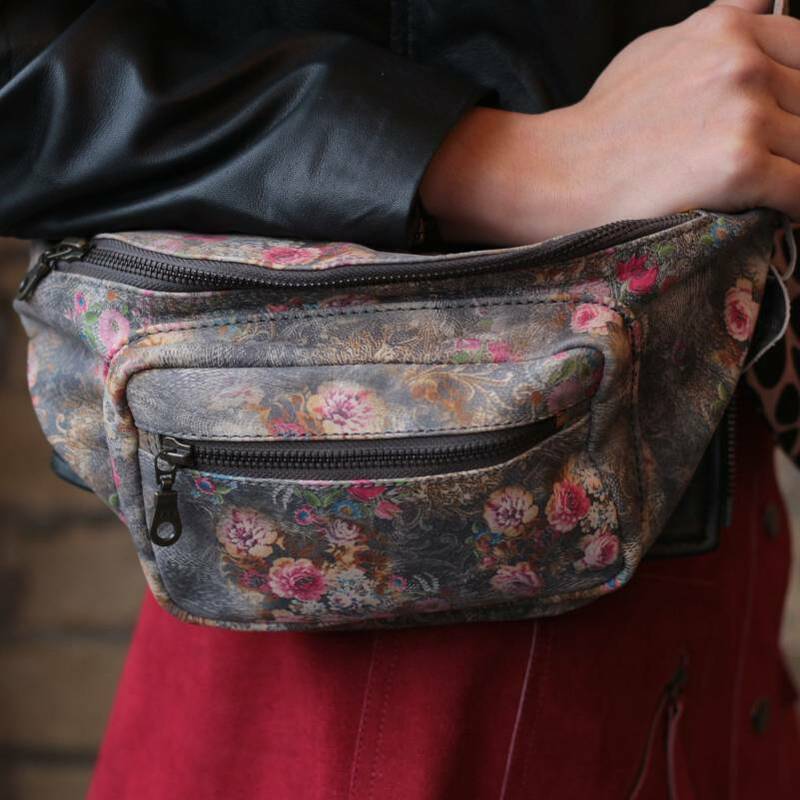 This soft floral print leather bumbag measures 30 x 17 x 14 cm, and the front pocket 10 x 17 cm. The belt measures between 46 cm and 93 cm, and the buckle is 5 cm. 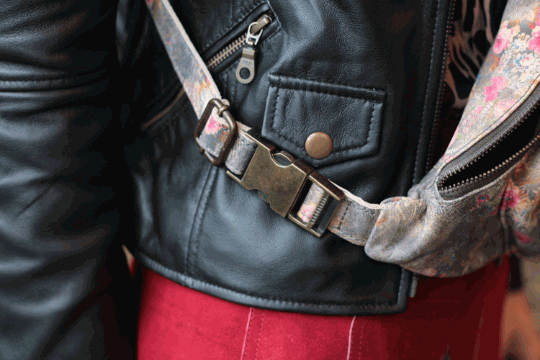 This bumbag is made of durable soft leather and brass fittings. 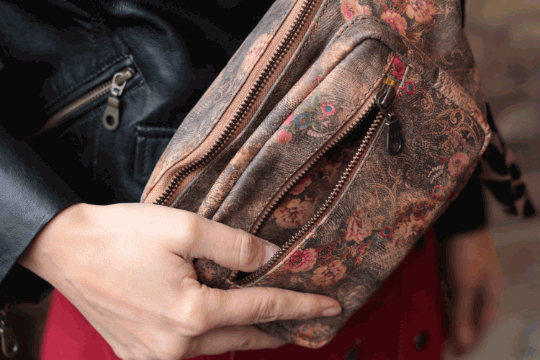 The weight is 300 grams and fits comfortably on any size from small through to extra large. 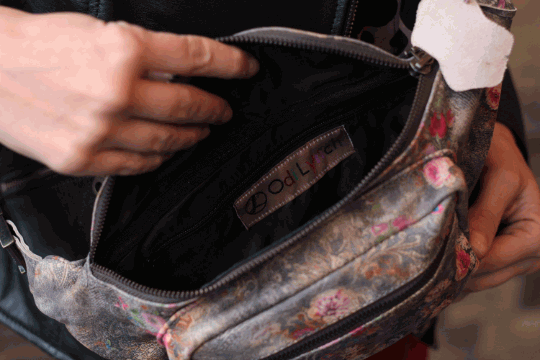 It contains an internal pocket and boasts a black waterproof lining inside. 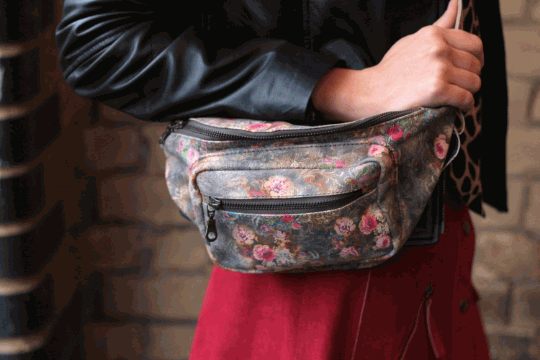 This is a practical, multi-purpose bumbag which will never go out of style!